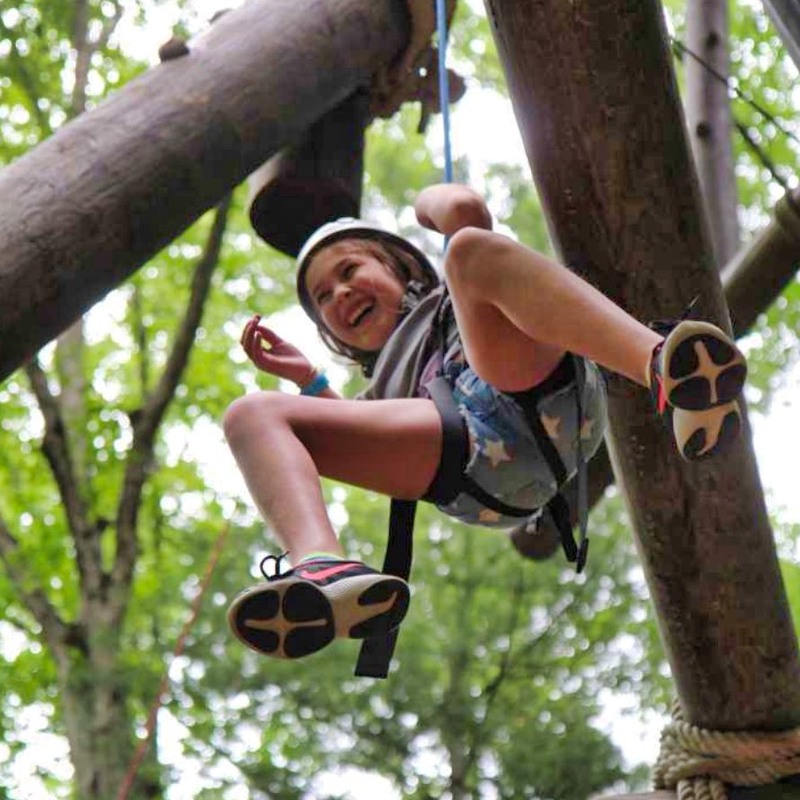 Rockbrook's overnight girls camps combine a wide range of fun activities, excellent staff supervision, long summer camp traditions and a beautiful, timeless setting. 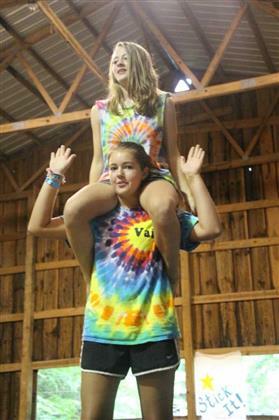 Campers from all over come to join a true overnight camp experience. When girls stay away from home to attend an overnight summer camp, they can relax and be more themselves, making it so much easier to make friends and have fun trying new things. 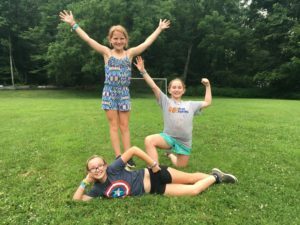 Rockbrook's all girl environment is an important part of its camps because it makes it camps even more encouraging and welcoming. 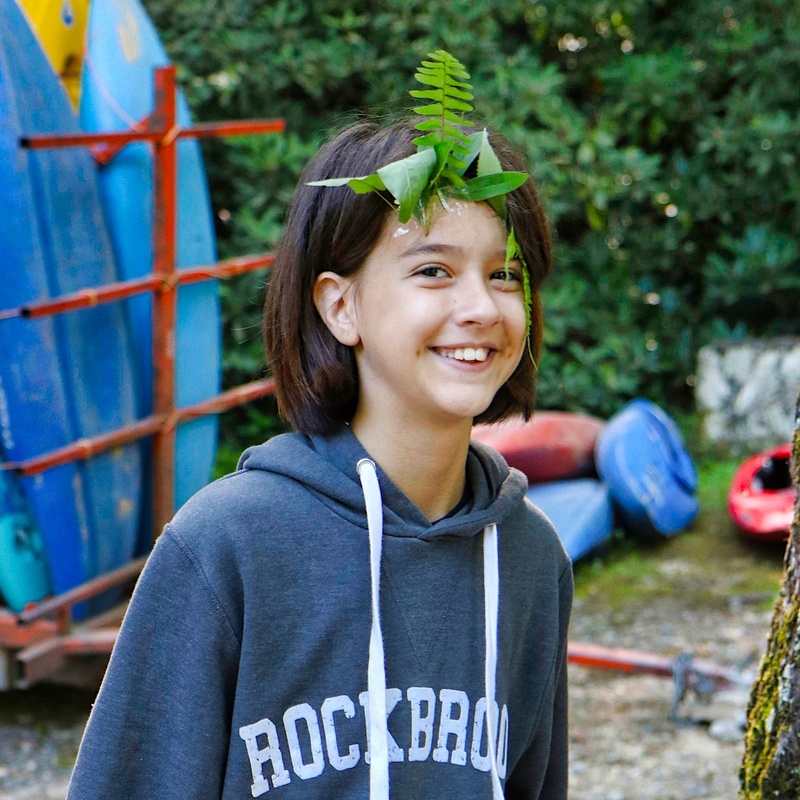 Everyone knows that Rockbrook is a “fairyland of beauty” home to countless forest spirits who work tirelessly to enliven our experience of nature and make the camp magical. Just glance to the side anywhere around here, and you’re bound to see something beautiful. Today Rockbrook was also a land of Greek goddesses. With a little help from the Hi-Ups, each cabin was given a particular goddess to follow— dress according to her characteristics, use her symbols and icons, and playfully emulate her personality. For example, Selene, goddess of the moon, Gaia, goddess of the earth, and Hecate, goddess of magic all came alive at camp today. Keeping it kid friendly, we selected about a dozen goddesses in all. The costumes ranged from elaborate dresses with crowns and golden jewelry, to delightfully homemade adornments. Ate, the goddess of folly used lots of feathers, while Gaia had leaves, moss, and twigs woven into clothing and hair. Antheia, the goddess of flowers was definitely the most colorful. When all of our various goddesses arrived at their activities, the counselors played along asking them to demonstrate their qualities and special personality. It turns out that goddesses are right at home here at Rockbrook, easily enjoying all the action and inter-action that defines our days. The girls happily bestowed more magic, folly, nature, flowers and success on all of us. So how is it possible that these girls were so terrifically excited to become goddesses for a day, to dress and behave in costume for everyone to see? Isn’t that just weird, or embarrassing? Honestly, it is, and outside of camp, most of these girls wouldn’t dare walk around with leaves in their hair, or a necklace of clover flowers, or wearing a full-length cloak. 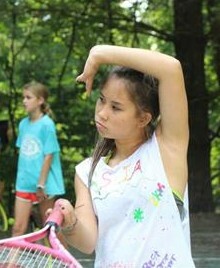 At the same time though, there was no awkwardness in this for the campers. They seemed instead to revel in the opportunity to express themselves so freely, to laugh with each other, and to explore untapped aspects of their personality and who they are deep down. This makes sense when you realize that Rockbrook is a haven for girls, a special place where they feel safe, supported, and valued. It’s an intentional community built upon positive relationships— cooperation, communication, encouragement, generosity, respect and care. 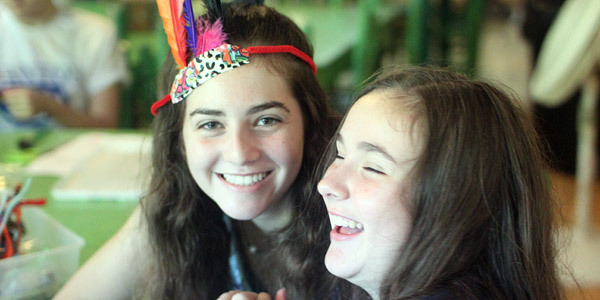 Led by a fantastic staff of adult role models, this camp community listens and accepts and has an amazing power to bring people closer, foster confidence and grit. It’s also worth recognizing that all too often girls experience the opposite in their daily lives the rest of the year. Life at home and school comes with social ideals and standards, and often kids thereby feel pressure (even anxiety) to perform and even look a certain way. In the face of competition and lacking genuine community support, our kids ordinary experience can inspire insecurities, self-doubt and unhappiness. That’s why we were a camp of goddesses today. And thank goodness! 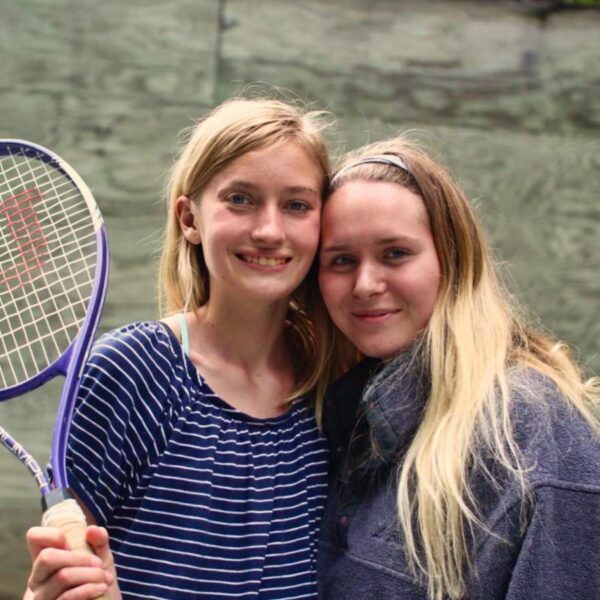 These days more than ever, your girls need time and a special place like Rockbrook for them to feel good about being their true selves, to put aside social pressures, to play and to grow. It’s a daily joy for us to see it all unfold so beautifully. 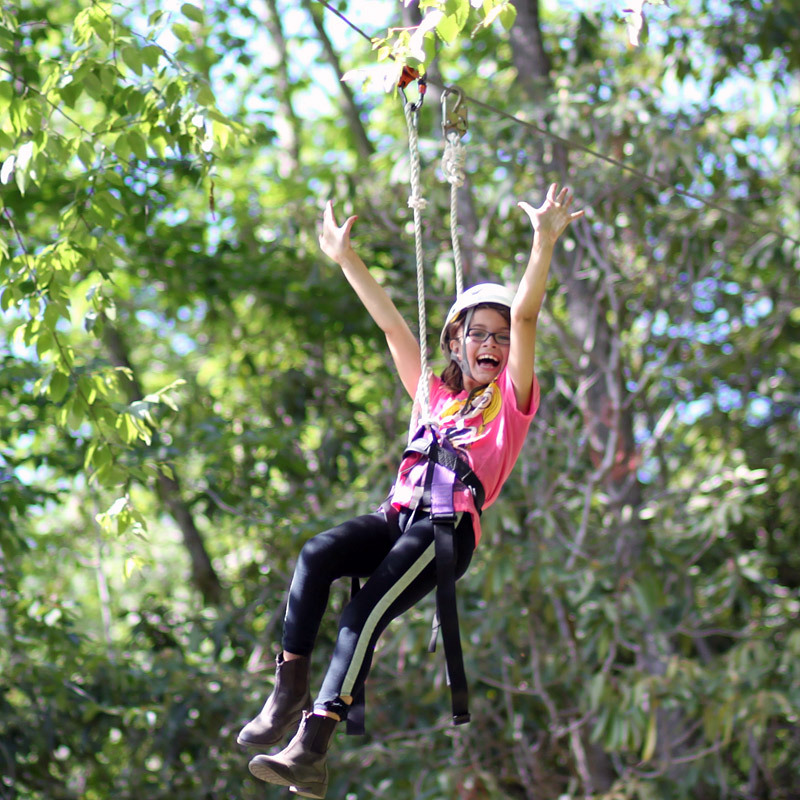 When people think of summer camp, odds are good they picture kids canoeing, climbing a ropes course, riding horses, making tie-dye T-shirts, and hiking through the woods. 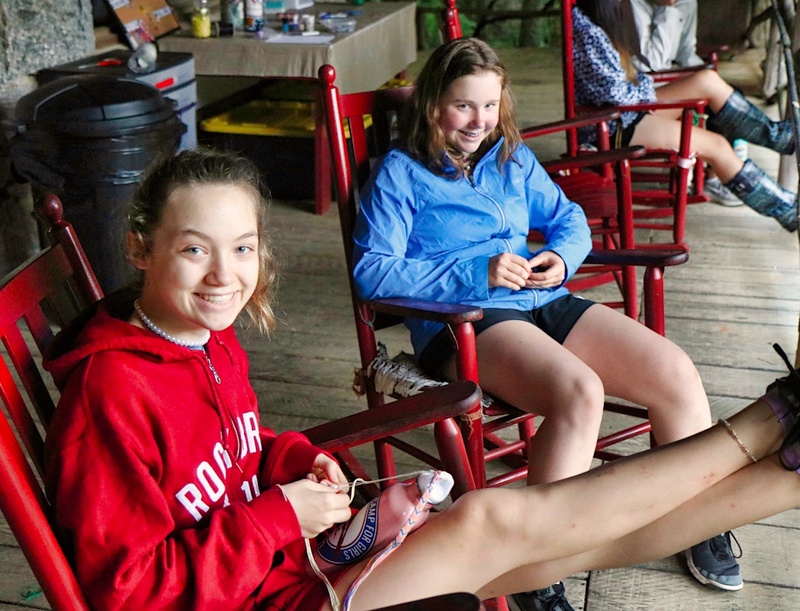 That certainly is a big part of how we spend our days here at Rockbrook, but even in the midst of all of those fun activities, a main focus is our relationships with each other. In everything we do we are looking for ways to build connections, strengthen communication, and model positive conflict resolution. 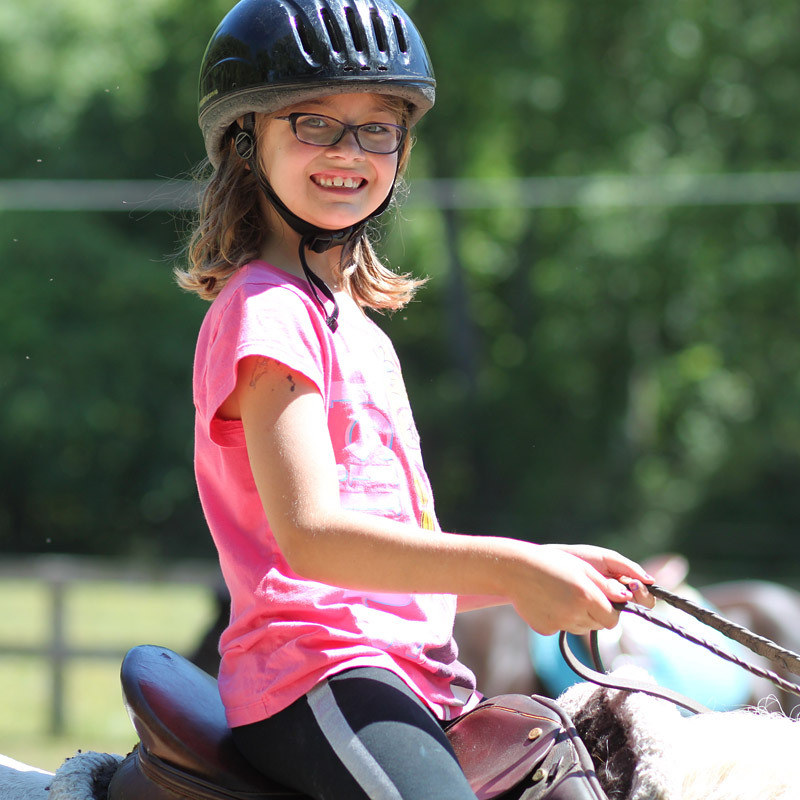 Whether we are reminding kids to walk instead of run at the lake or helping a first time camper find her place at camp, our goal is to have each camper feel they are a valued part of the Rockbrook community. Living in community doesn’t always come easy. 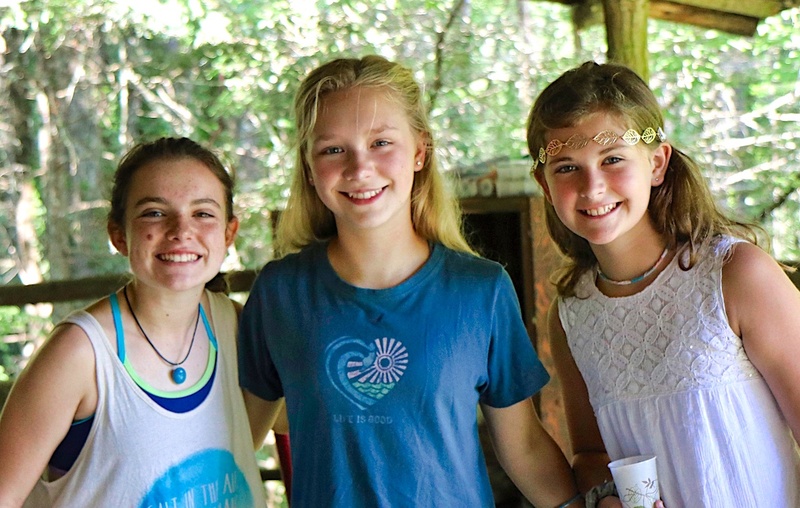 It can be tricky to learn to share close quarters with people you haven’t lived with before, but the good thing about camp is that we get lots of time to practice. 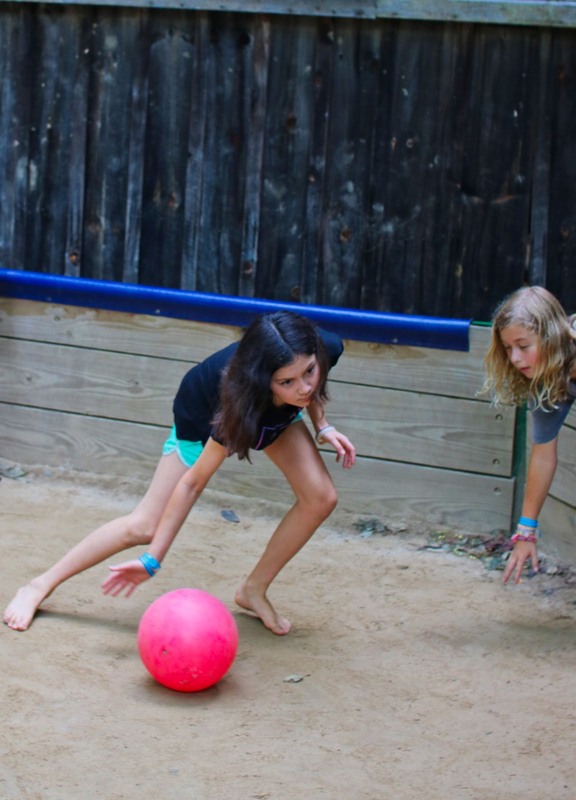 Our counselors strive not only to provide close one-on-one interaction with every camper, but also to help campers learn their role in a group as well. 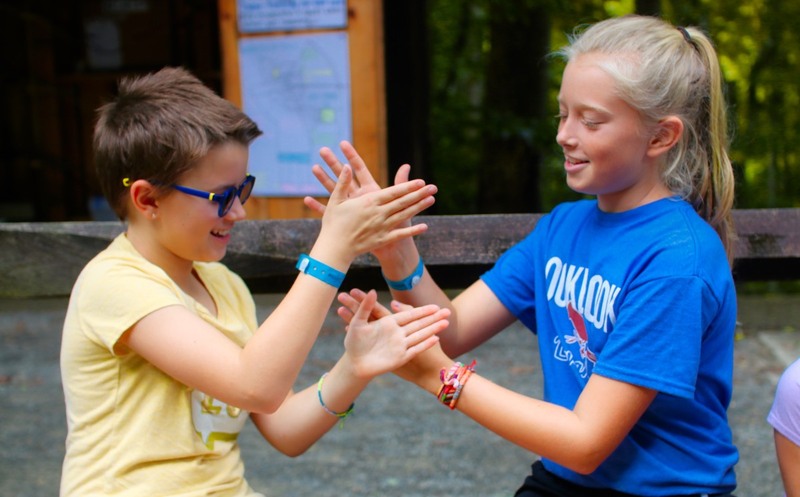 Everything from morning chores in the cabin to planning camp-wide events teaches campers how to express their feelings, ask for what they need, resolve conflicts, and share ideas. 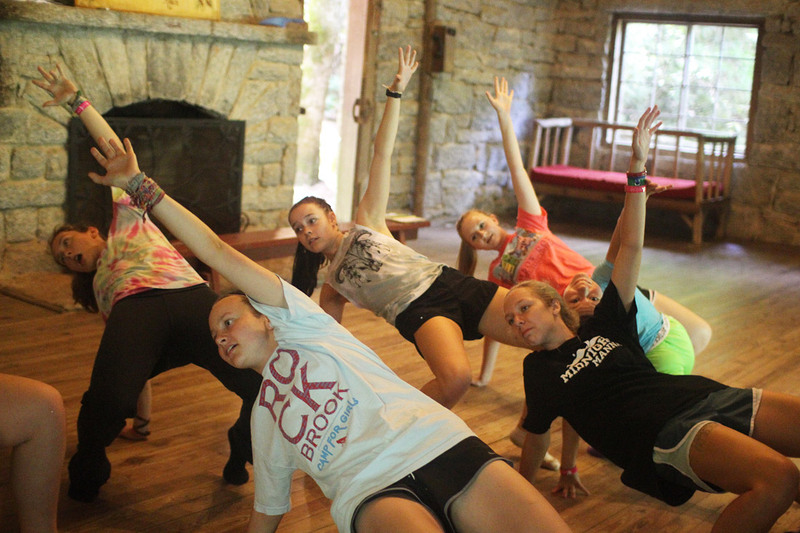 Cabin groups work together to prep their living space for cabin inspection every morning. 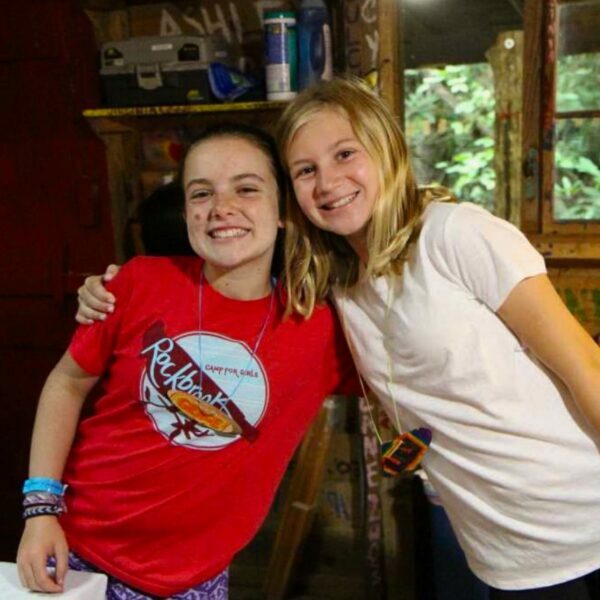 Each camper has a cleaning job in the cabin, but each girl is also responsible for keeping her own belongings tidy as well. This early morning exercise in teamwork helps girls delegate and ask for help, important skills both at camp and in their out-of-camp lives. Counselors can help them navigate disagreements in this time, reminding them to keep their voices calm and convey their feelings clearly. 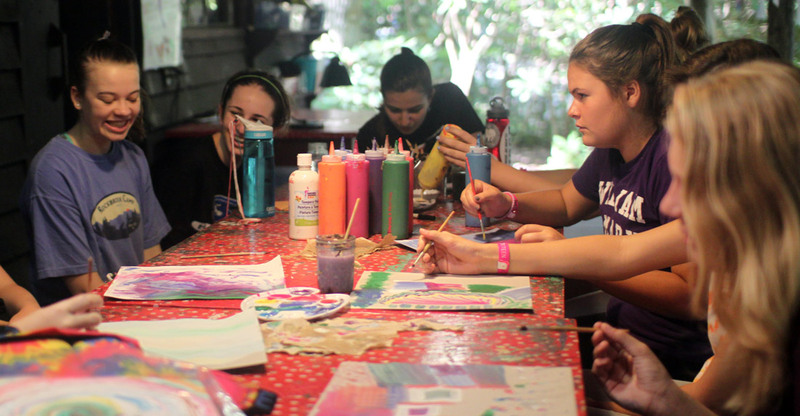 Campers might think they are just tidying up their cabin, but our staff is watching for any opportunity to help girls communicate better and support each other fully. Cabin day is another time where group dynamics are the star of the show. A cabin group may have to work together to build a fire in order to enjoy a special campfire treat. They’ll have to talk together about the process, discuss supplies needed, assign different roles to each member of the group, and work together to get to that sweet result. There’s nothing quite like the victory of a cobbler that you’ve cooked together over an outdoor fire. 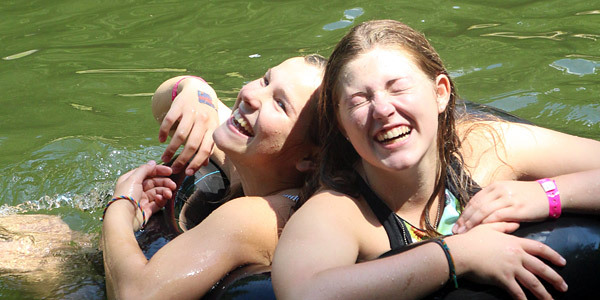 Because of our investment in relationship building and teamwork as the core part of camp life, we see ripples of these practices all around camp. Everyday, the quality of our relationships, the growing care and understanding we have for each other, makes a difference. 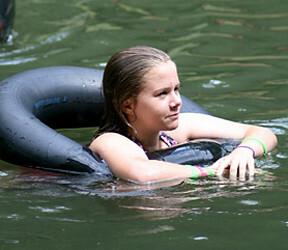 When a camper is hesitant at the top of the water slide, you can be sure her cabin mates will be there cheering her on from the lake below. 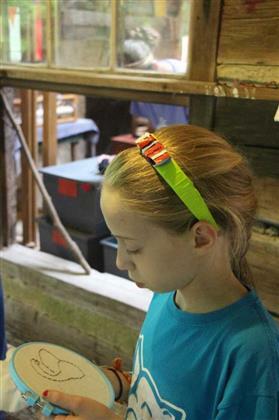 Divvying up supper clean up chores becomes smoother every day as girls take turns delegating and sharing jobs. 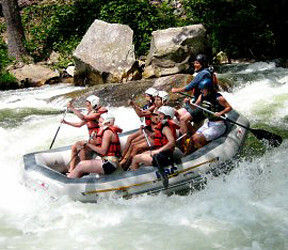 And on the river in a whitewater raft, those communication skills really pay off as girls work together to ride the rapids. 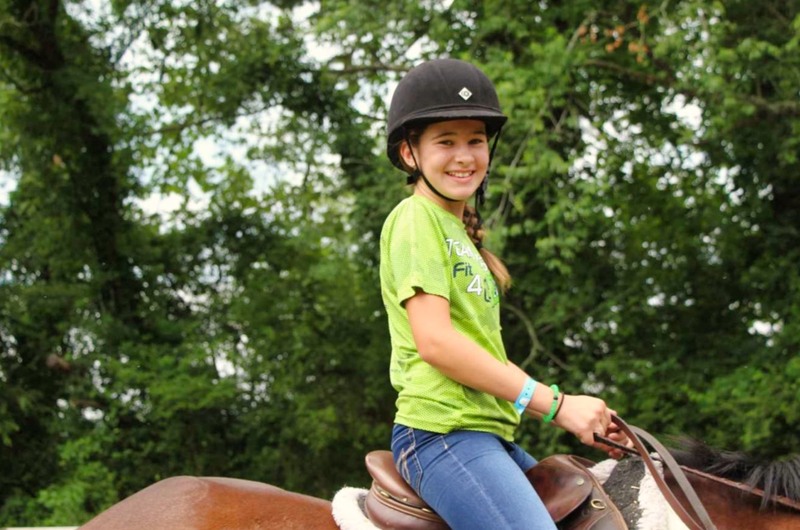 So when you think of camp and all those fun activities come to mind, know that the work is much more than finding rhythm on a horse, weaving a basket, and or molding something beautiful out of clay. We’re also finding our rhythm as a group, weaving a beautiful community, and molding each camper into a caring, strong communicator. And having lots of fun while we do it! Director of Rockbrook, Sarah Carter, handed me a letter yesterday, while we were winding down from the Jedi Training Academy event and such an incredible Mini Session Opening Day. She really must have been an incredible athlete! 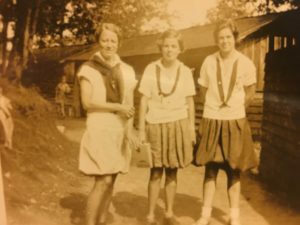 For part of the letter, she describes the awards she remembers receiving, still thrilled after all this time: The awards were given “at the last evening campfire where the owner gave the awards and we all cried our eyes out. I still have my 3 ribbons! 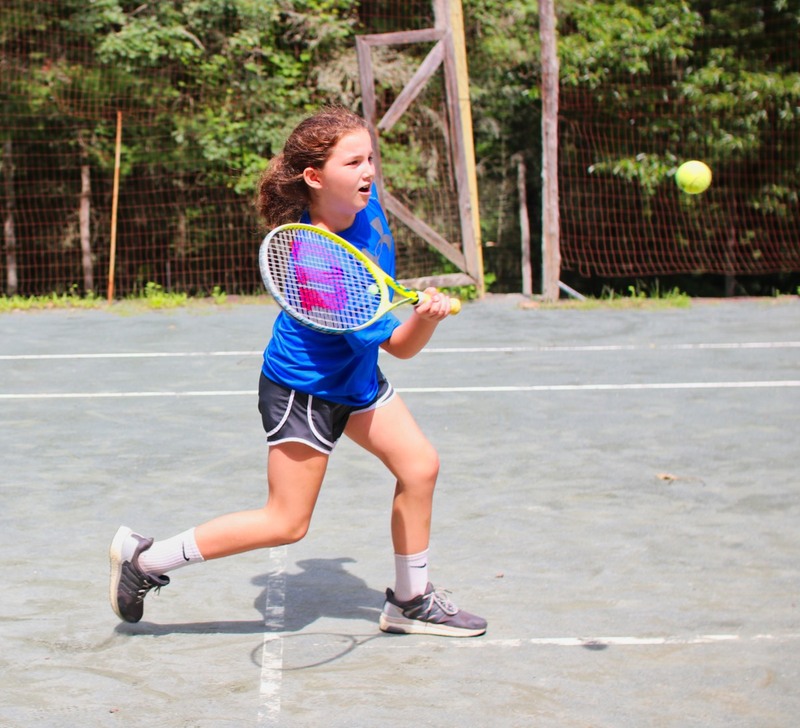 Red and blue in Tennis and yellow in Diving!” Although we no longer give out awards on the last night of camp, it seems that not much has changed in terms of how emotional the last campfire, Spirit Fire, can be! What truly stuck me was the line, “Rockbrook was a life highlight.” I keep saying it to myself today, getting a little teary-eyed and trying to wrap my head around it… I have a million questions for her about what those 8 weeks were like for her and what kind of impact Rockbrook had on her. 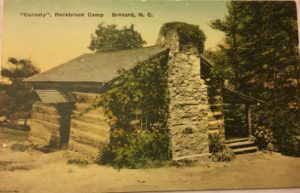 She closes her letter by informing us that her daughter had heard someone mention Rockbrook in Maine last week, which compelled her to write the letter. We’ll continue to ponder who this mystery person in Maine could’ve been and are thrilled to write back to our 1938 Rockbrook girl shortly! 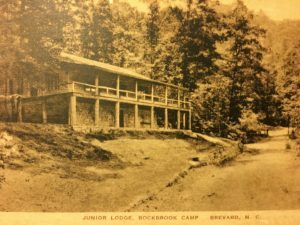 ***In honor of this special “blast from the past” edition blog-post, I’ve included some vintage pictures that I recently found that belonged to the founder of Rockbrook, Nancy Carrier. Special events happen just about everyday at Rockbrook. Often announced as a surprise, they could be special craft workshops like a woodworking demonstration. They could be a costume theme for a meal, like tonight when the girls dressed like their favorite celebrity. 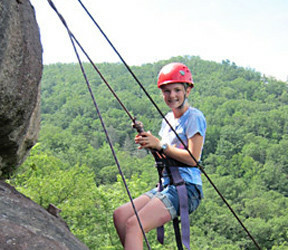 Of course, there are always special outdoor adventure trips announced in the dining hall each day— canoeing on the French Broad River, rock climbing on Looking Glass Rock, or an overnight backpacking trip into the Pisgah National Forest. 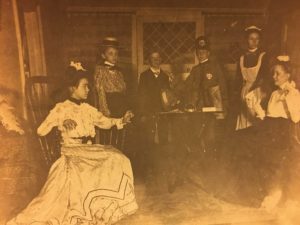 During the period of free time after dinner that we call “Twilight,” we often announce surprise events, for example a drum circle, or when the girls could build “fairy boxes” down at the camp garden, or head to the gym for 45 minutes of Zumba. 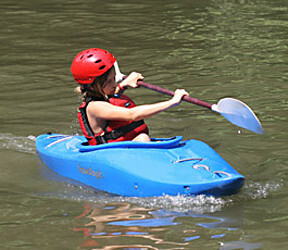 Meanwhile, everyday there’s amazing things happening in all of the in-camp activity areas. 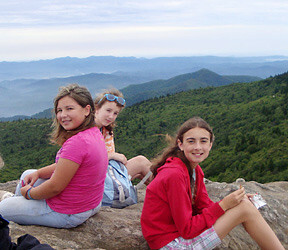 For example, the Alpine tower provides our girls with fantastic climbing challenges. 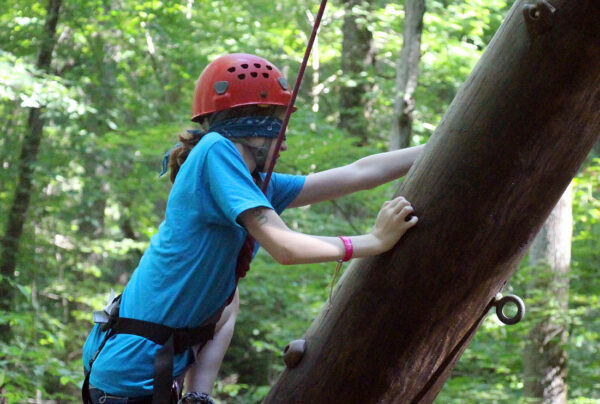 With more than 30 different ways to climb up (all 50 feet to the top), it takes quite a while to “do it all.” Plus, some girls are now climbing the tower blindfolded… just for the fun and the added challenge. Some of the routes up are already really difficult with swinging obstacles and overhanging sections. So, it’s incredible to watch some of the girls successfully climb without being able to see! Swinging on your belay rope (sometimes upside down) while being lowered down is a nice thrill that comes after each climb. 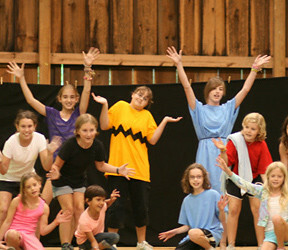 The Lakeview Lodge (one of the three stone activity lodges at camp) also serves as our dance studio. Each of the four dance classes happening this week has been a mix of learning individual dance moves of various styles and working on choreography, synchronizing individual moves into a complete dance routine. There will be an opportunity to perform their routines at the end of the session during the intermission of the camp musical. 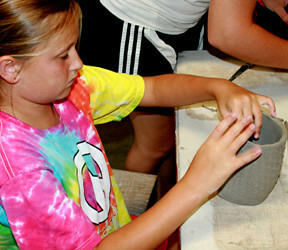 The ceramics classes have been really showing off this week too. 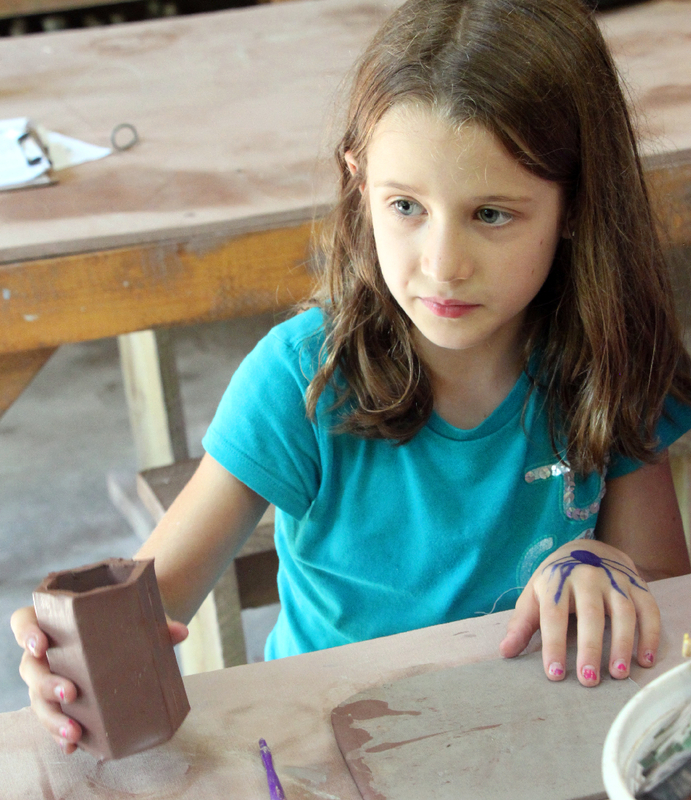 The girls have been decorating tiles and plaques (rolled out slabs of clay) with texture impressions, small clay coils, and carvings. They’ve made small animal sculptures, cupcake and mushroom boxes, as well as wheel-thrown vessels like cups and bowls. 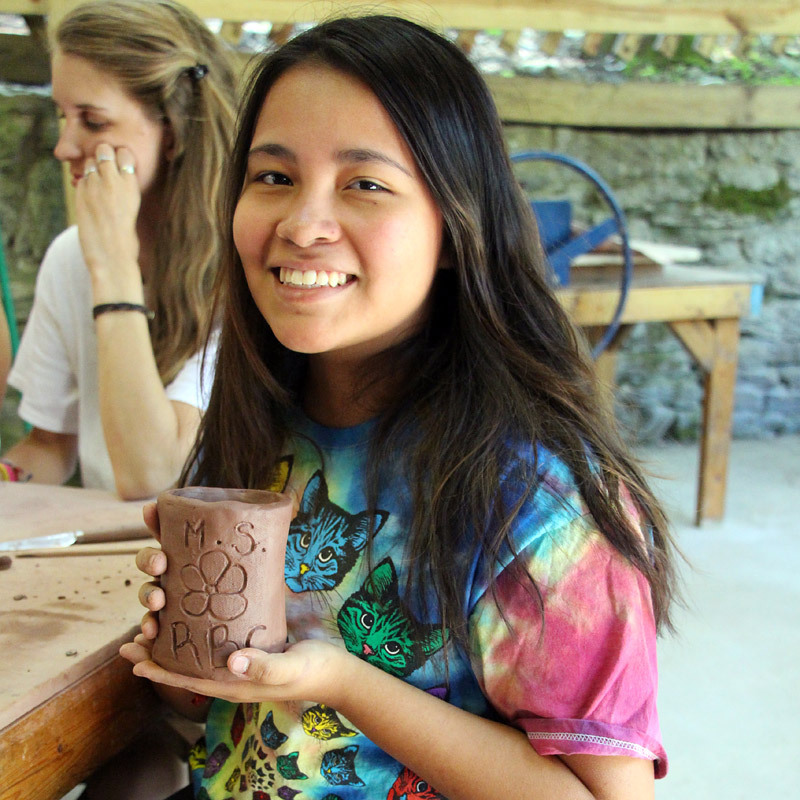 Later next week, the girls will begin glazing their creations so they can be fired in the kilns in time to have fully finished pieces to take home. Bright and colorful, it will be exciting to see the final results. 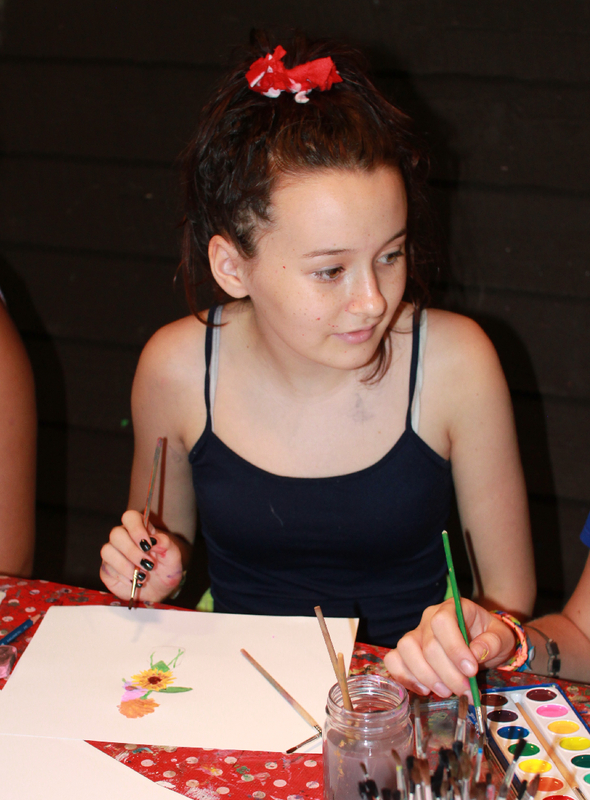 The painting and drawing classes have been concentrating on watercolor paints, and experimenting with color theory as the girls blend their paint. They’ve been using different brush types as well, creating interesting effects for their pictures. 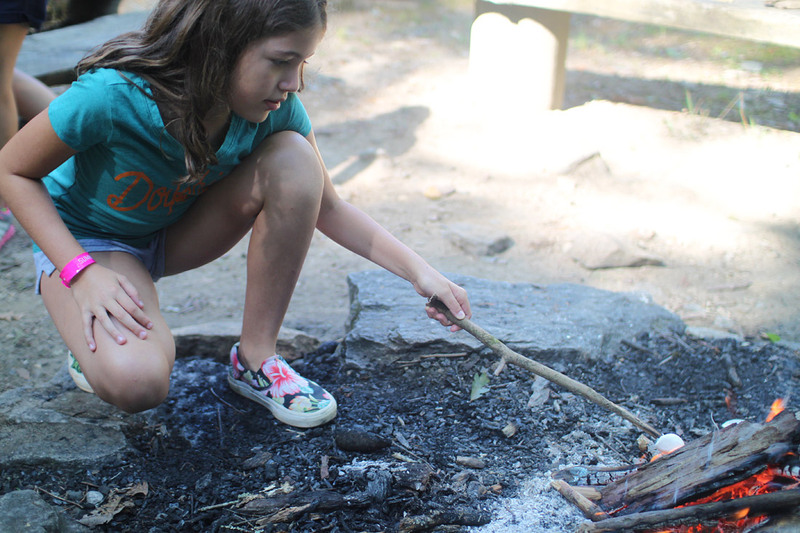 Fire building is one of the skills the girls are learning in the WHOA activity this week. If you’ve ever tried to build a fire, the wood you use matters a lot. The girls know how to select dry wood, but also how to gauge that by listening for a distinctive snap when a twig breaks. Some have been able to achieve a “one-match” fire without using any paper…. a real accomplishment. 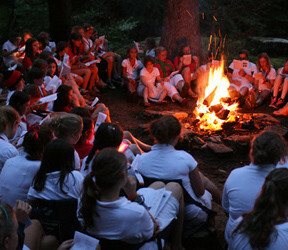 Of course, the possibility of roasting marshmallows and making s’mores can be a powerful motivator, as well! 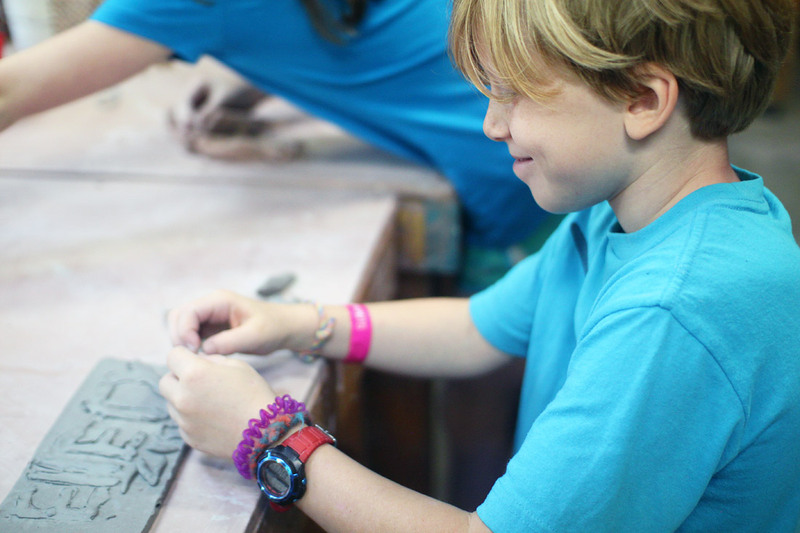 Outdoor adventure, sports, and creative arts are daily experiences at camp, and this has been a full and rewarding week of each. 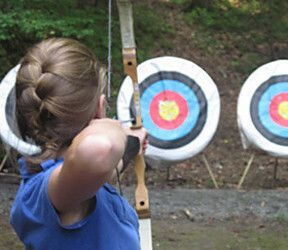 As your girls sample these options, learning from the challenges they represent, they’re not just enjoying themselves. 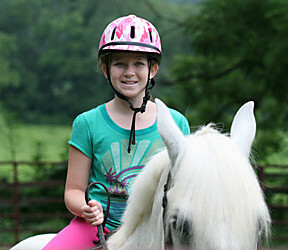 They’re also growing a bit, becoming more confident and accomplished, developing skills and perhaps surprising talents. All this and more, in the name of fun. It’s very neat to see. So you’re coming to camp on Sunday, and you want to know what to pack. The costumes are a given, of course. All the tutus, masks, wigs, and funny hats that you can cram into your trunk will be put to very good use here at camp. But what about the everyday clothes? 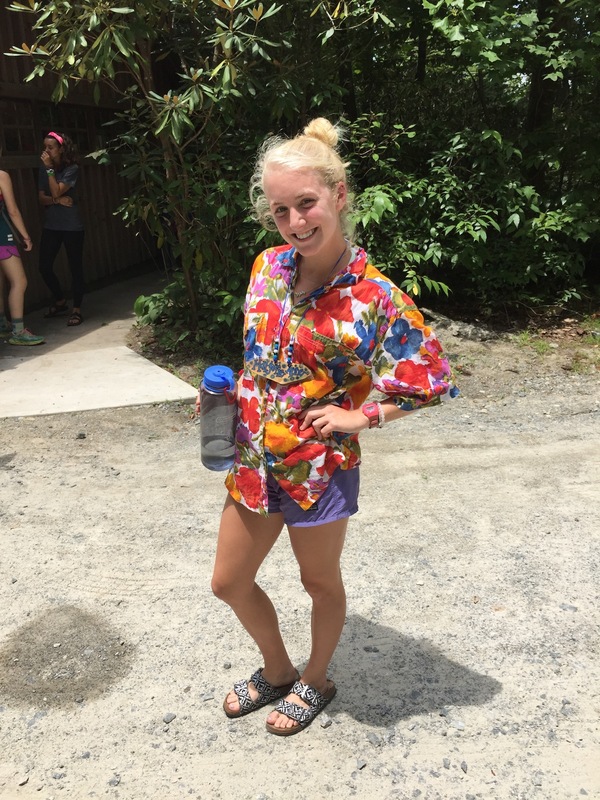 Maybe you have been scanning the packing list on our website, trying to determine, among the listings of “7-10 shirts/shorts,” what kind of clothes are actually considered cool at camp. 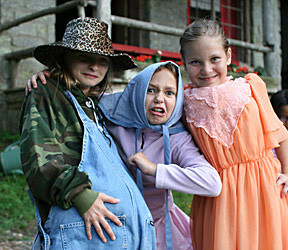 At camp, the fashion rules of the outside world don’t apply. Makeup is only used for clown costumes and such, hair straighteners and curling irons are useless at best in the heat and humidity, and high heels can only ever end in sprained ankles on the gravel roads. Here, the rules are rewritten to fit our environment—pretty clothes are replaced with functional ones, carefully styled hair is replaced with crazier styles, and traditional jewelry is replaced with colorful, homemade creations that express personality instead of expense. 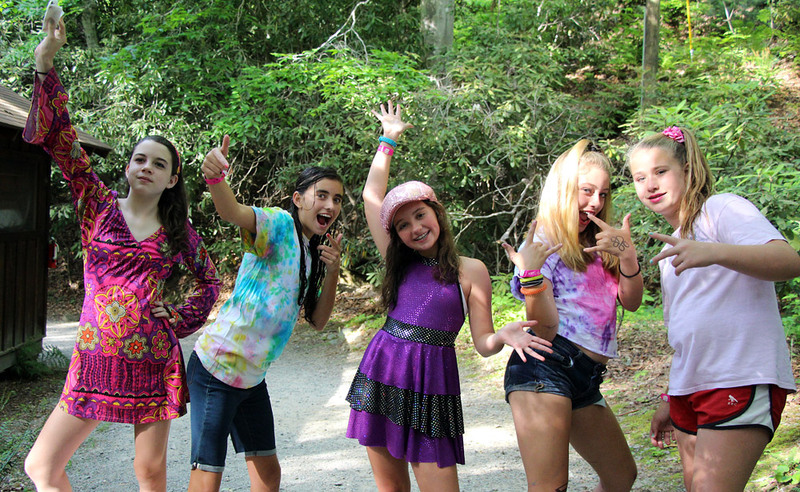 Camp fashion standards leave more room for creativity and originality, and allow campers and counselors to express exactly who they are and look so cool doing it. 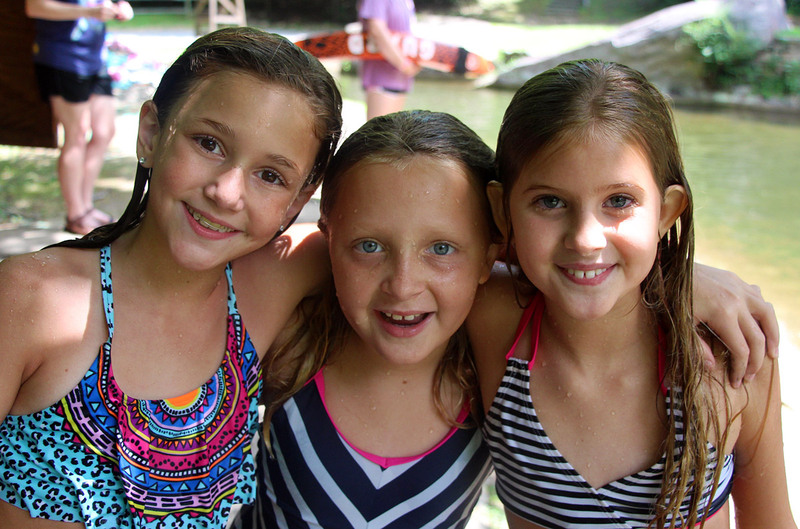 Every summer at Rockbrook has its own styles and trends. Sarah Carter told me today about when she was a counselor in the eighties, and everyone wore oversize t-shirts and men’s boxers as shorts. When I was a counselor, it was all about tank tops and bandanas-as-headbands. So what are the trends this summer? I talked to a ton of counselors and campers today (several of whom you’ll see in pictures) to find out the big ones. Shoes at camp are all about comfort and functionality. 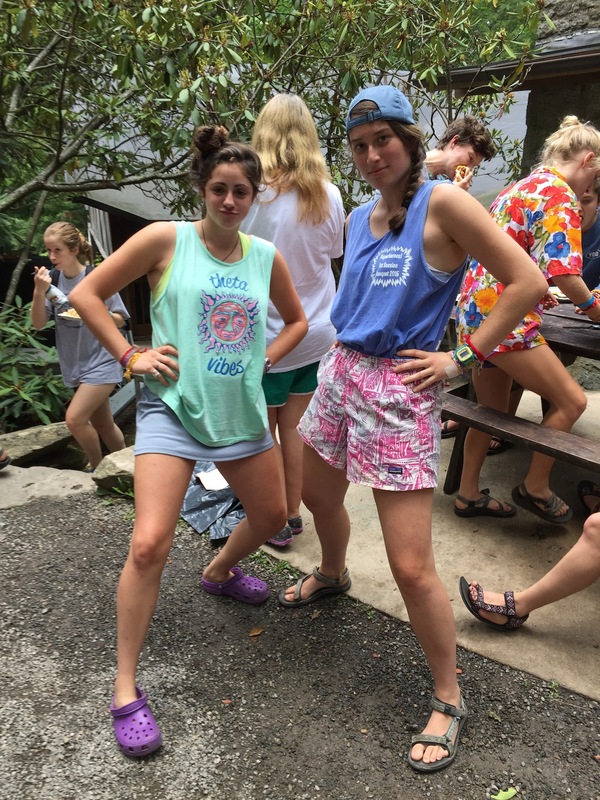 Most people wear Chacos, Tevas, or Keens–though one counselor asked me to point out that Crocs, if worn with the right amount of confidence, are still cool. 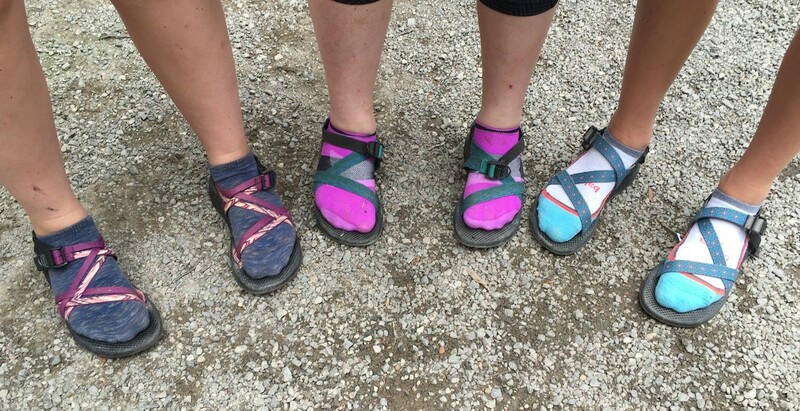 It’s always a good idea to jazz Chacos up a bit with some colorful socks, too, just to keep things interesting. For extra points, make sure to wear your Chacos enough that you can show off a beautiful Chaco tan-line. 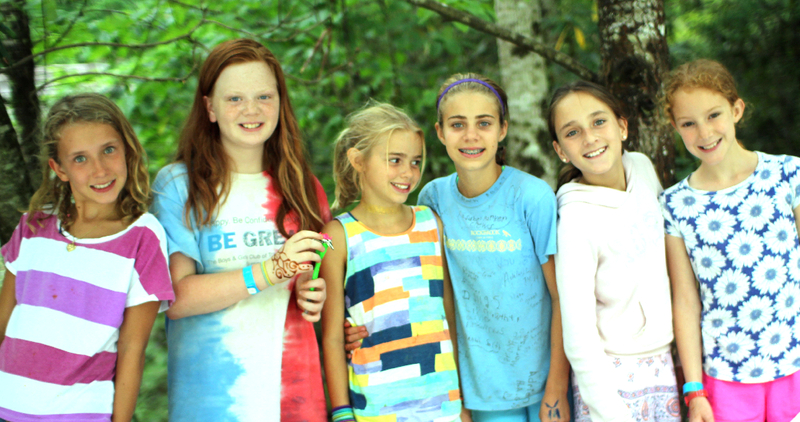 Some of the coolest clothes at camp are the ones that you make right here at Rockbrook. Once you make yourself the perfect multi-colored tie-dye, the only logical thing to do is to show it off as much as possible. Also, see if you can convince your counselor to let you make cabin shirts for Cabin Day. 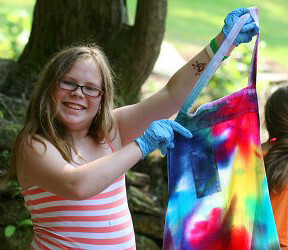 A white t-shirt+puffy paint=quality camp fashion. Odds are very good that you’ll go home with a very cool shirt after your session at RBC! Hair trends often take some interesting twists and turns (often literally) at Rockbrook. Through my years here, I have seen Afro wigs, Mohawks (usually for the dances), Kool-Aid tips, and more. This year, the trends have mainly centered around crazy pigtails and cornrows. 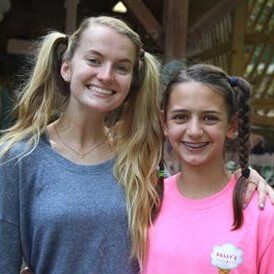 Braids are always cool at camp–the more complicated the better. 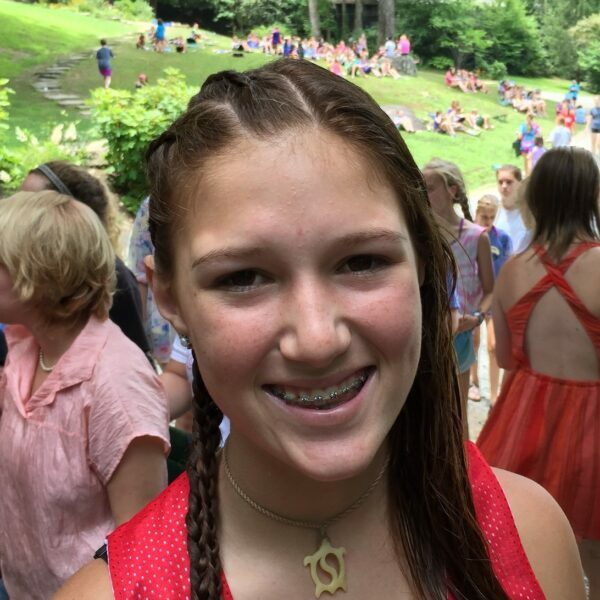 But the cornrow trends (and particularly the half-heads of cornrows that I’ve seen wandering around camp, have really taken this to a new level. As I mentioned earlier, accessories tend to be made here at camp, not bought. 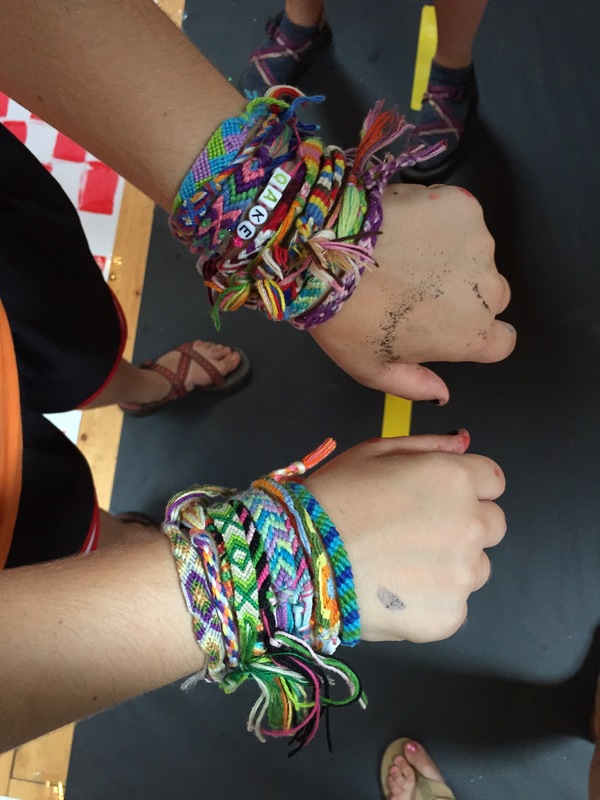 Campers often don’t consider their camp session complete until they have wrists full of friendship bracelets, survival bracelets, and paddling achievement bracelets. But the accessorizing doesn’t stop there. 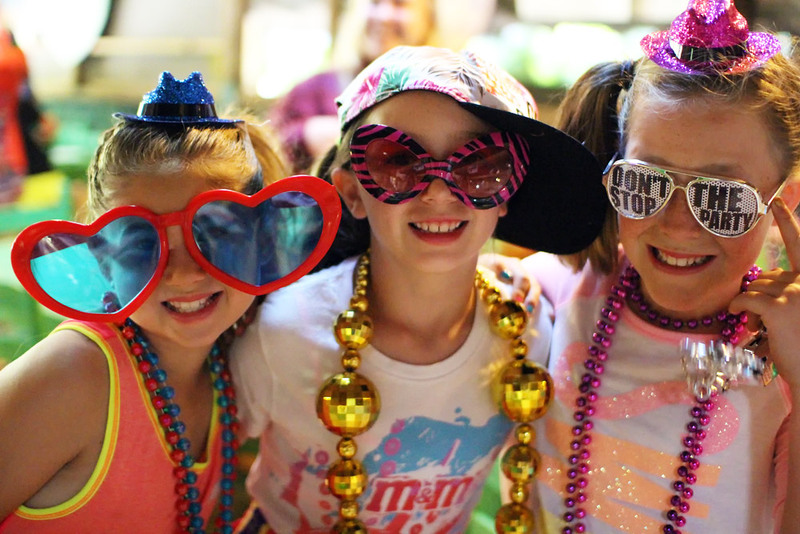 Campers love to show off their camp-made duct tape headbands, wallets, picture frames, and more. They can knit themselves hats in Needlecraft, and weave themselves headbands in Curosty. Rare is the camper who goes home without at least one of these stylish creations. This year, the wildcard trend that none of us saw coming was the Flash Tat. These are basically temporary tattoos with a metallic sheen that work way better than regular make-up at making a girl’s face look unique and interesting. 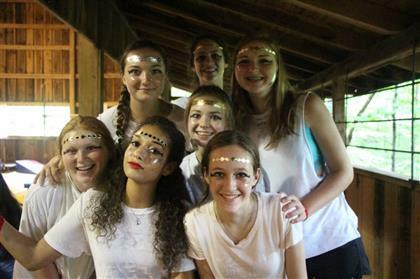 In fact, an entire cabin covered their faces with Flash Tats for their Miss RBC dance, and they all looked so incredible! These are all of the trends that have come to my attention so far this summer, but if you have noticed others in the pictures, or during your camp session, feel free to comment and share! This summer we are lucky to have Robbie Francis of Go Swan Filmworks working with us to produce several short videos about Rockbrook. While scrolling through the online photo gallery is a nice (and addictive!) way to stay in touch with what’s happening at camp, some things are so much better if recorded on video. 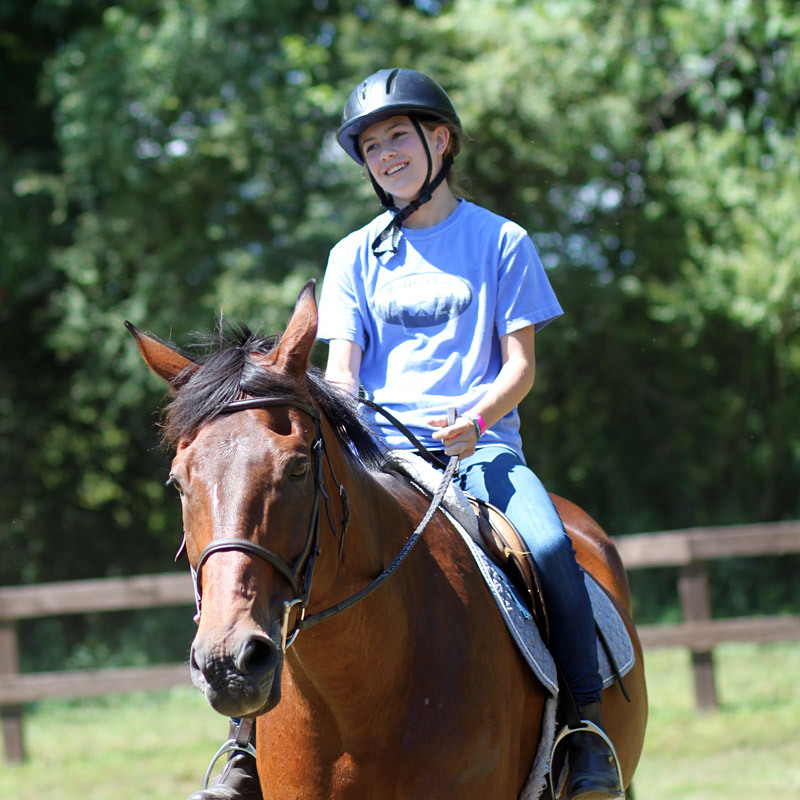 Robbie filmed at Rockbrook last Saturday, and now we’re excited to show you the results. Take a look! We think you’ll love it.